Lisbon Bairro Alto (high neighborhood) or just Bairro, in the afternoon. 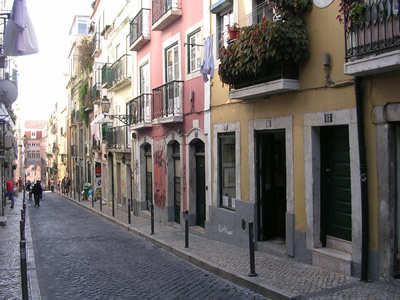 During the day Bairro Alto is very quiet. Elder people with coloured plastic bags are coming back from the market, having a chat with eachother while they slowly climb the steepy streets. The atmosphere is very relaxed. In the shops and in the cafes people take their time to make a friendly neighbourly talk. 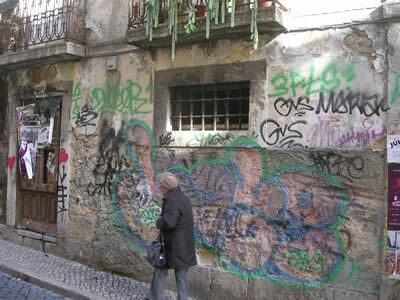 The area has traditionally been Lisbon’s bohemien haunt of artists and writers. 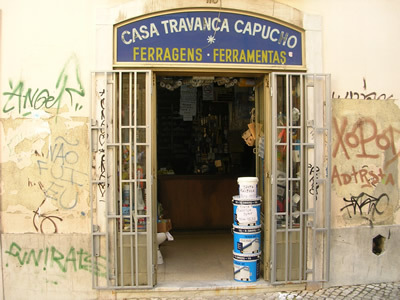 All the major Portuguese newspapers had their offices in Bairro Alto. This picturesque heart of Lisbon’s youth culture, nightlife, shopping and entertainment district, is one of the oldest districts of Lisbon dating from the 16th century. 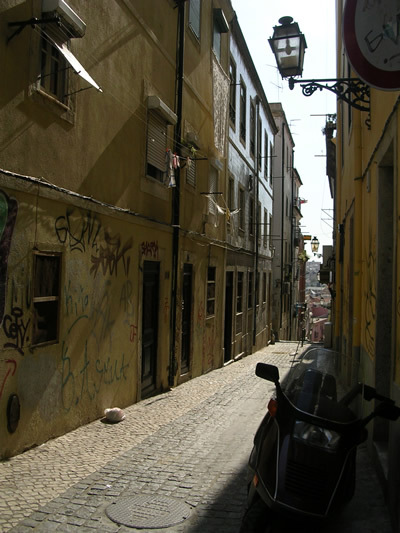 Since the 1990s, Bairro Alto went through major changes. 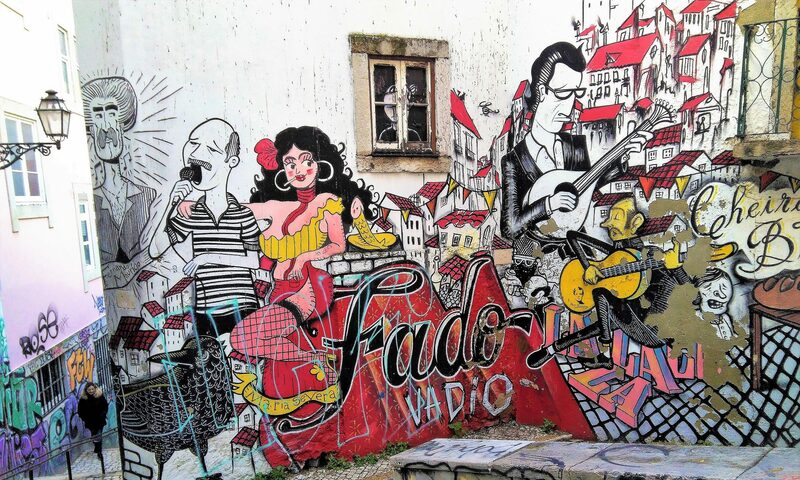 Lisbon’s city council made extensive repairs, and dozens of new restaurants and fado singing clubs animated the area. Trendy shops were opened. Many young people moved into the area. Cars were banned (except for residents and emergency vehicles). 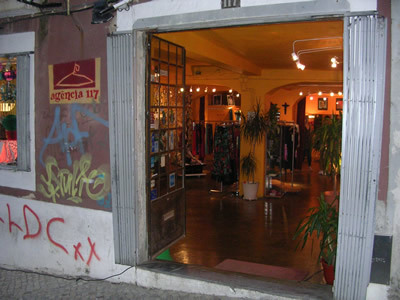 Agência 117, Rua do Norte 117, ‘skunk funk’ fashion. Nowadays, in Bairro Alto Lisbon’s punk, gay, heavy metal music, goth, hiphop and reggae scenes all have the Bairro as their home, due to the number of clubs and bars dedicated to each of them. 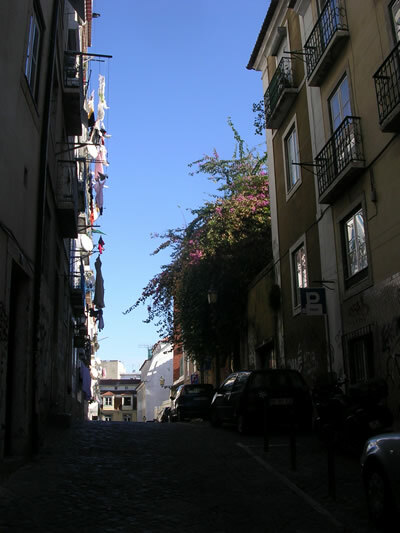 During daytime, the Bairro is a traditional district where older people shop for groceries, and the younger generations visit art galleries like Zé dos Bois, Rua da Barroca 59, bookshops like Ler Devagar (litt. read slowly, nowadays this wonderful shop is situated in LX factory), arty gift shops like Hold Me, Rua do Norte 33, offering a collection of bags and luggage. 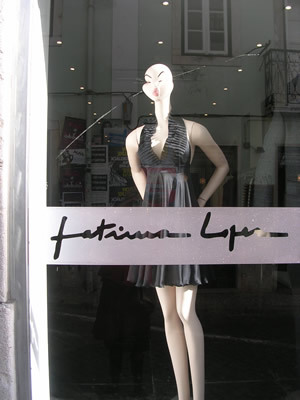 Local fashion queen Fatima Lopes’ shop , Rua da Atalaia 36.